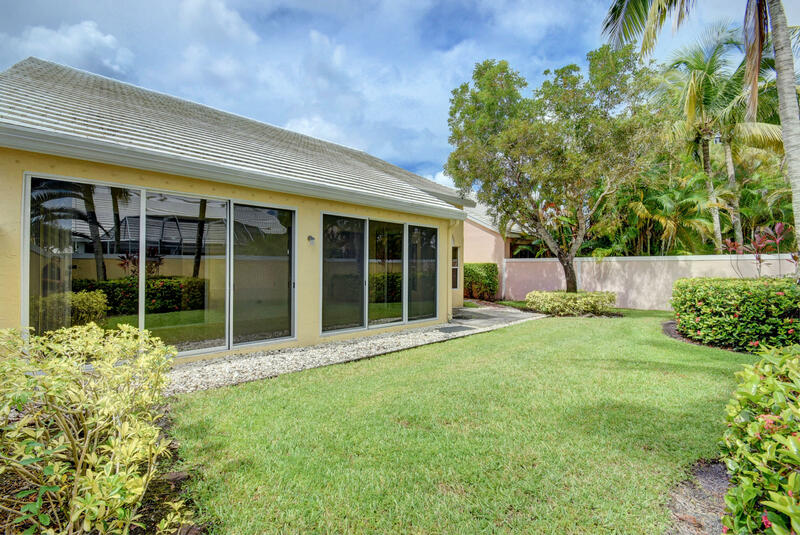 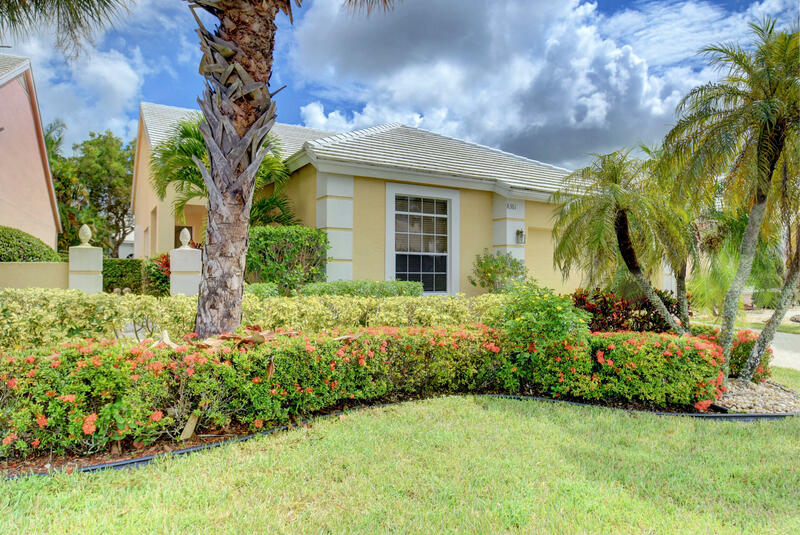 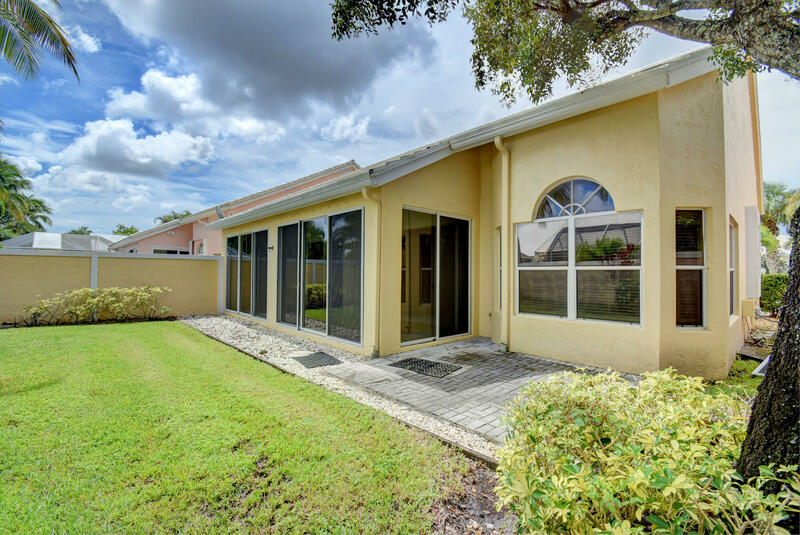 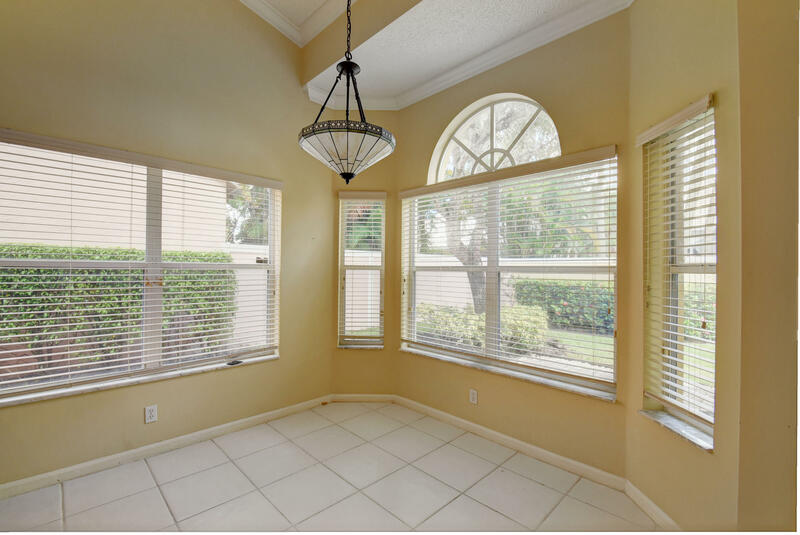 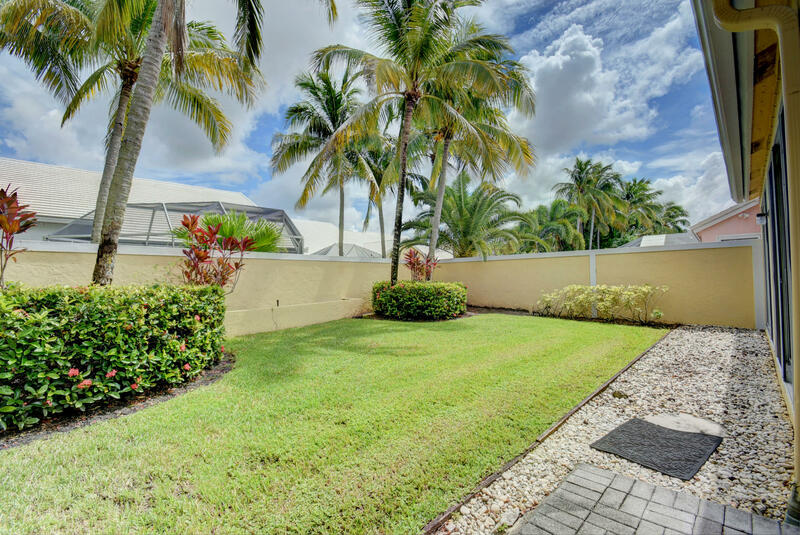 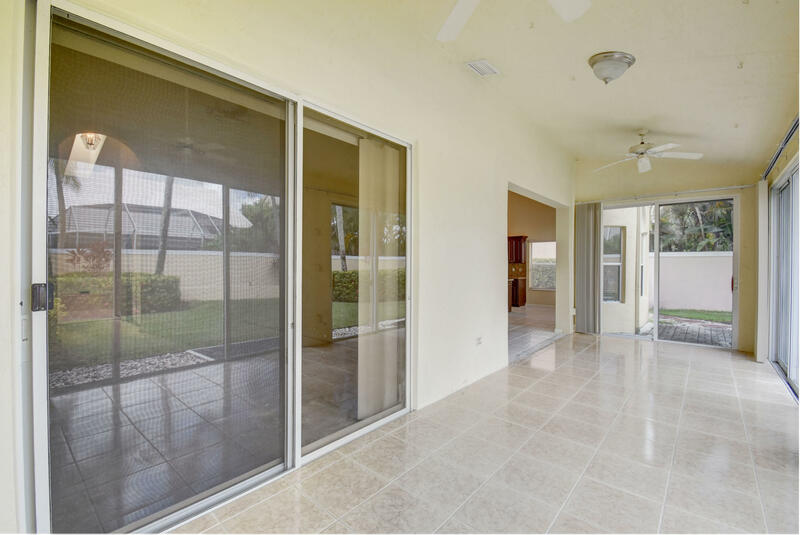 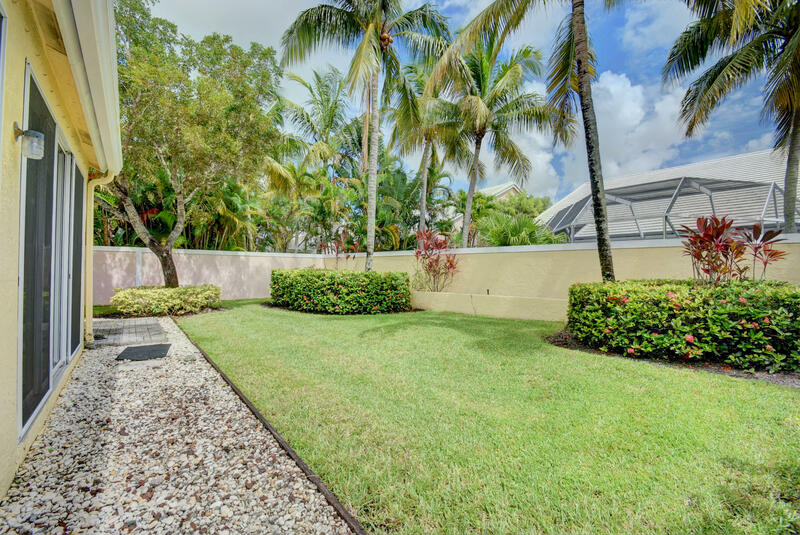 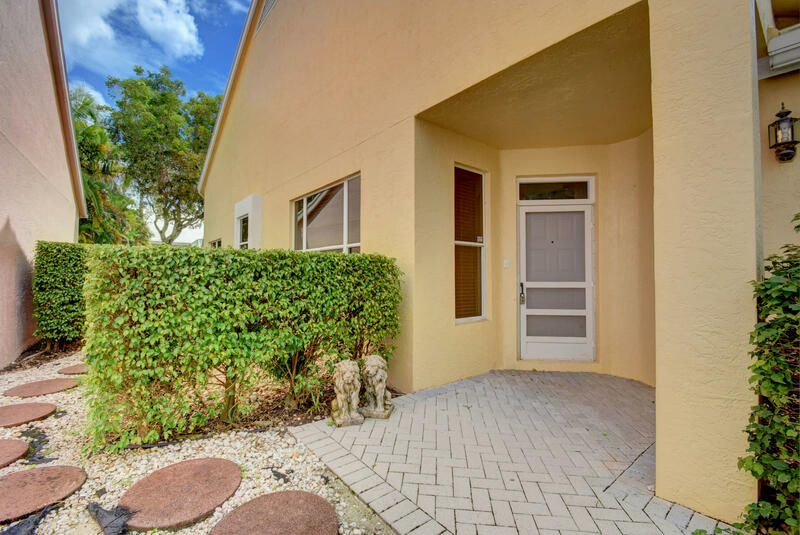 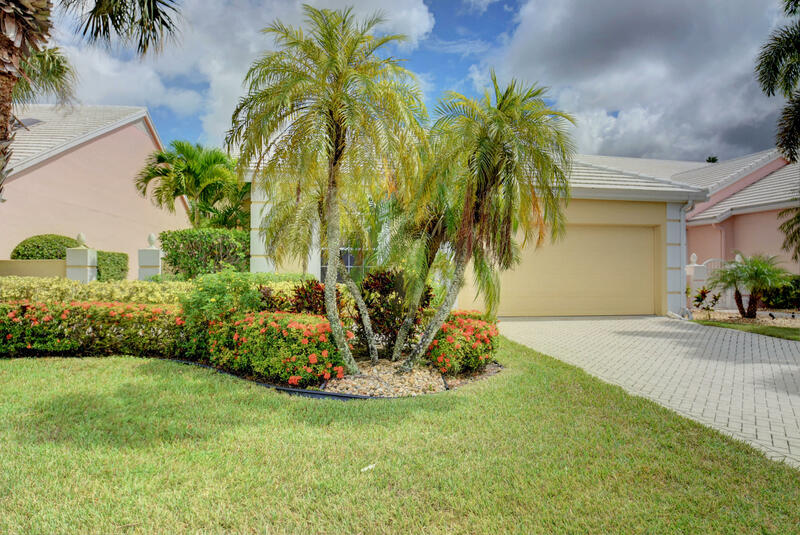 3BR/2BA home with wonderful glassed enclosed, A/C'd Florida Room. 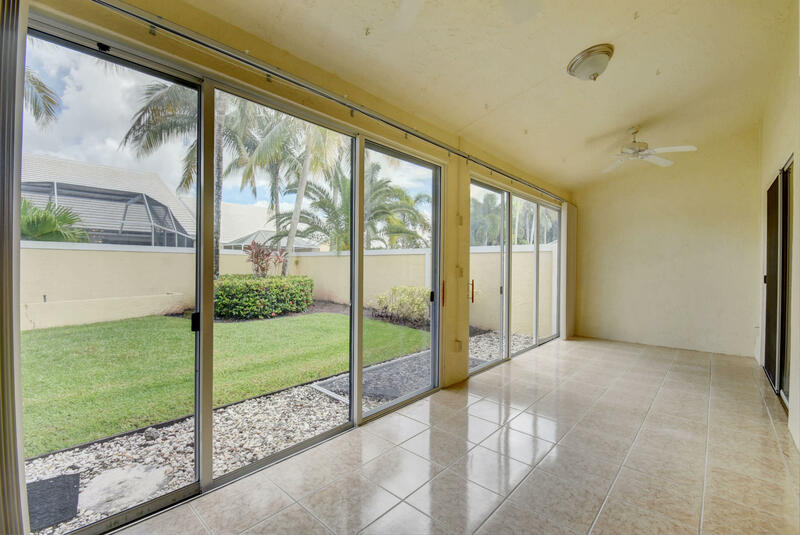 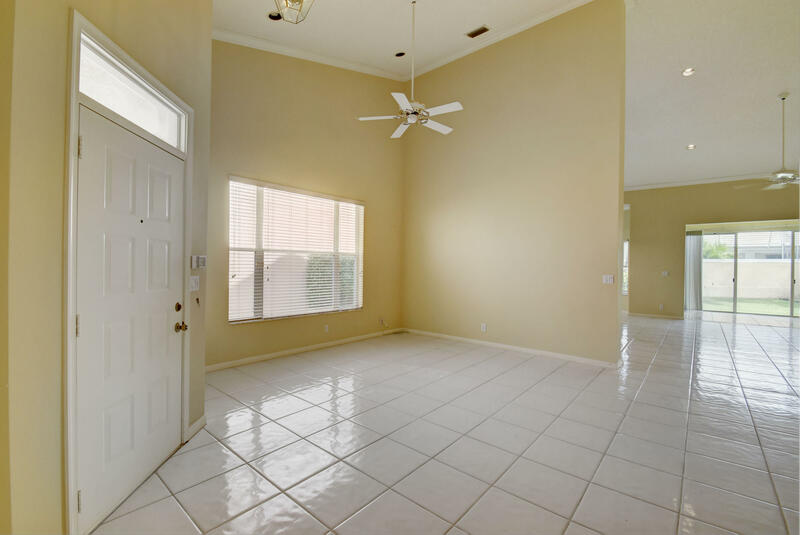 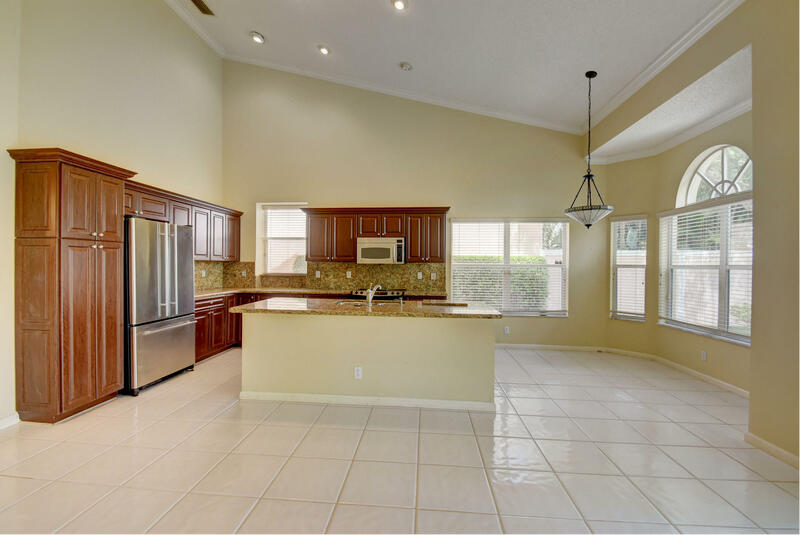 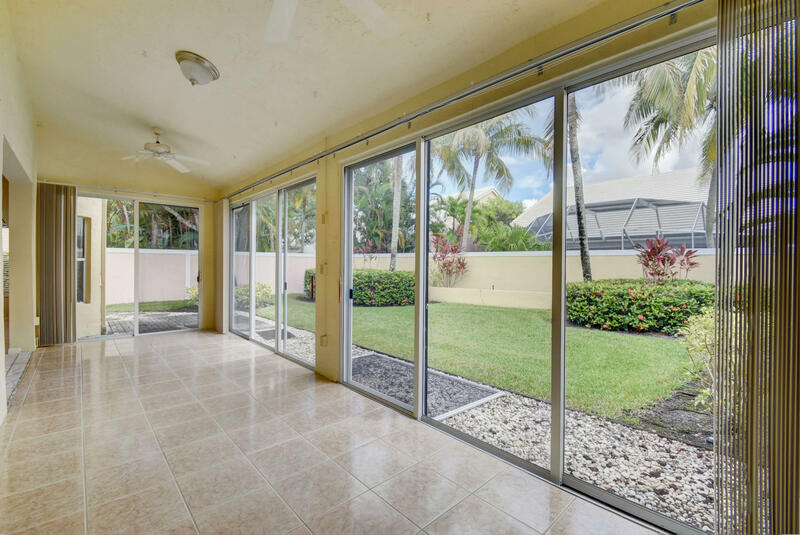 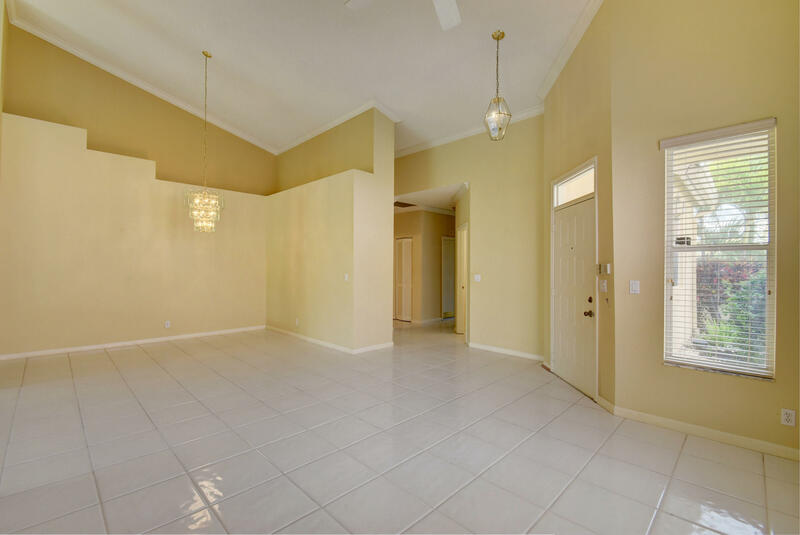 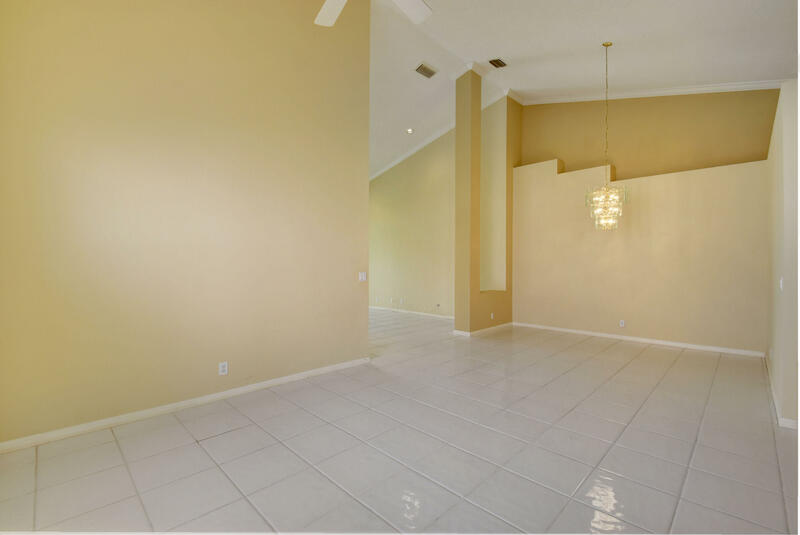 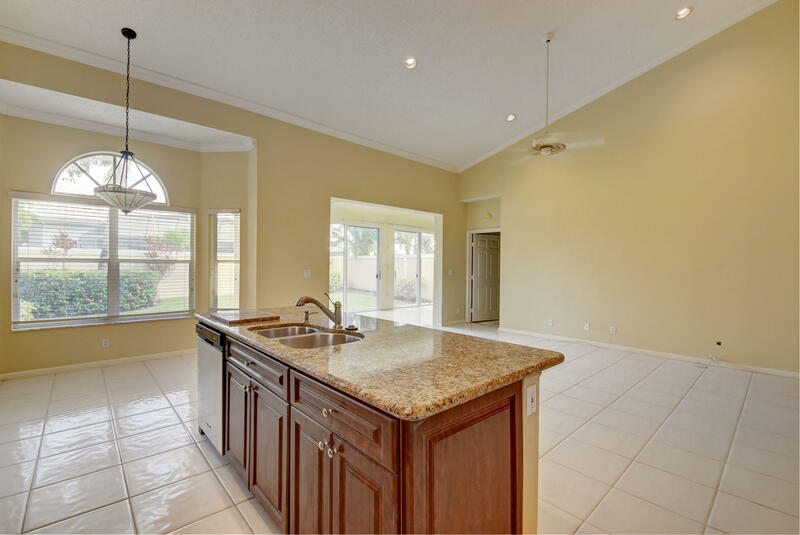 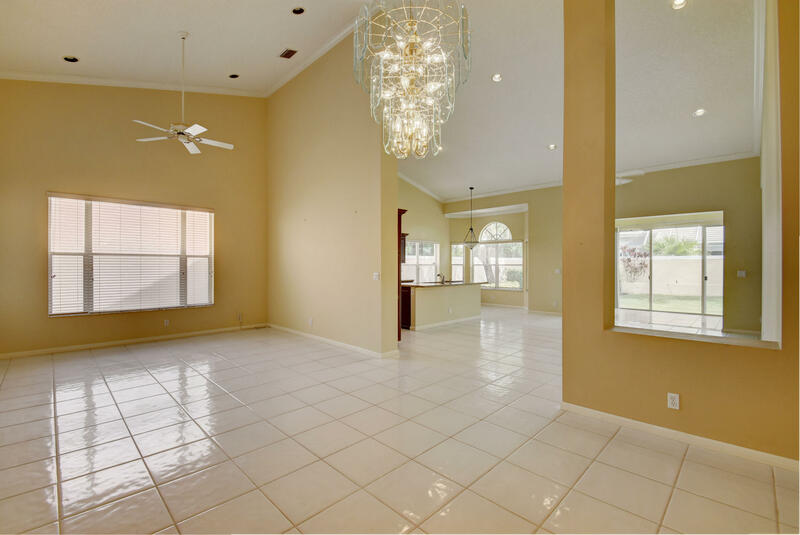 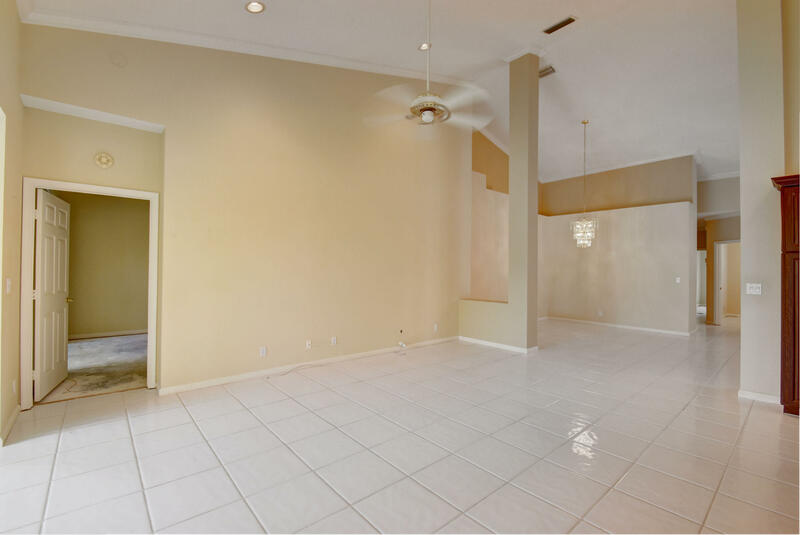 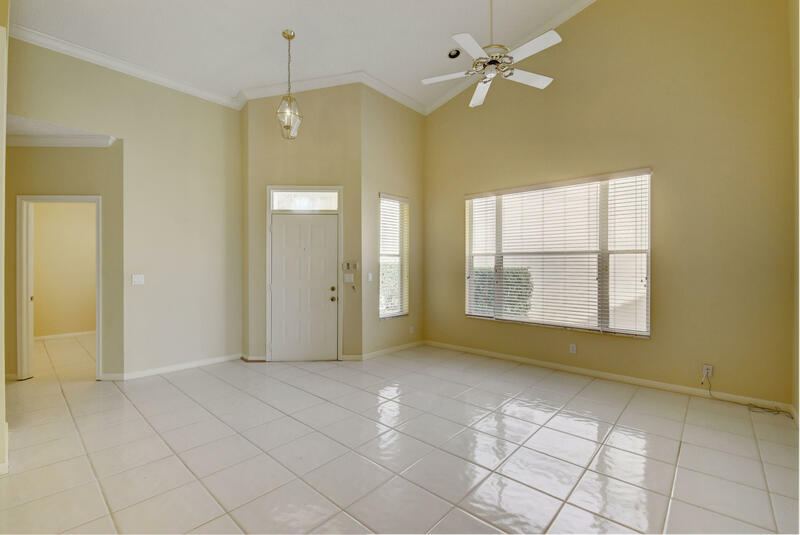 Open floor plan with soaring ceilings and lots of windows provide plenty of natural light. 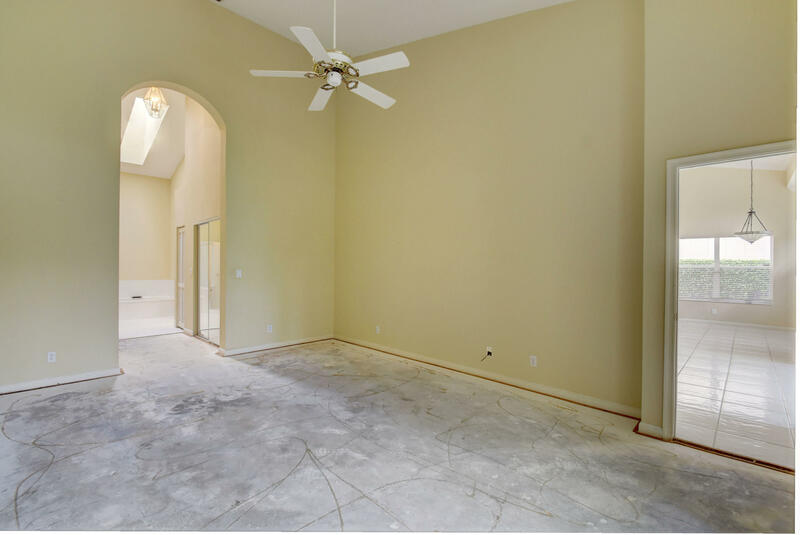 Great room concept, with cafe area in kitchen and 3-way split bedrooms. 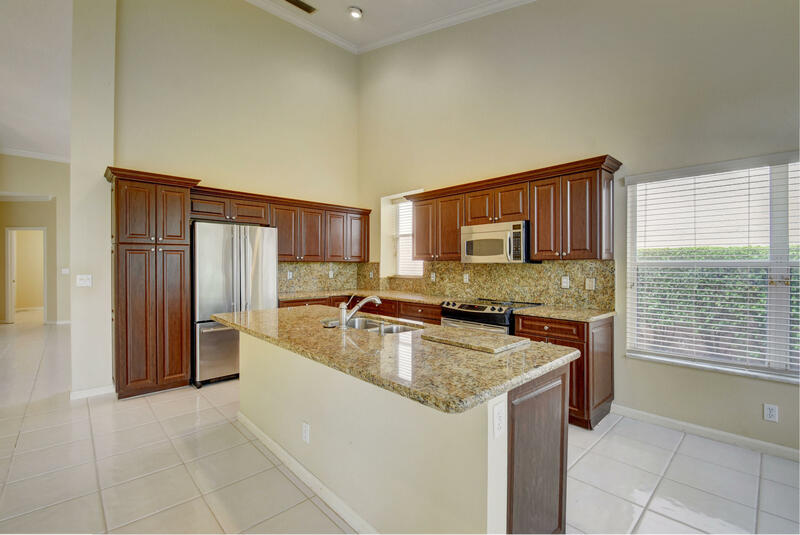 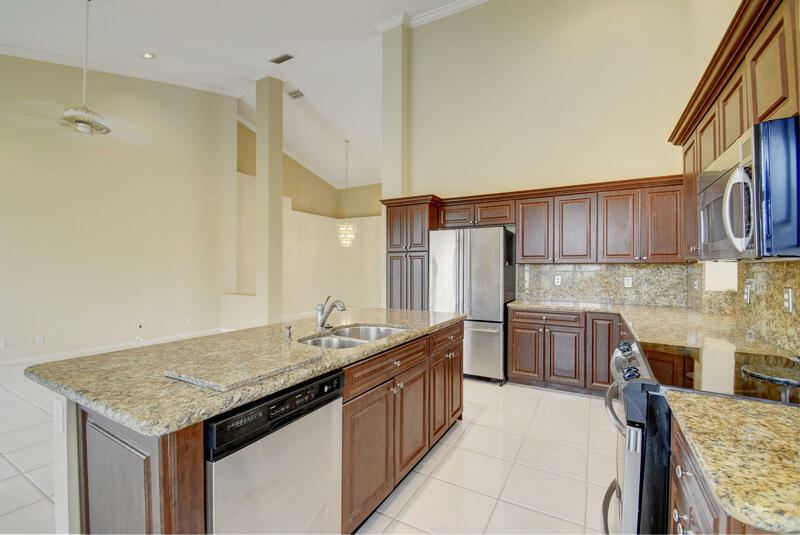 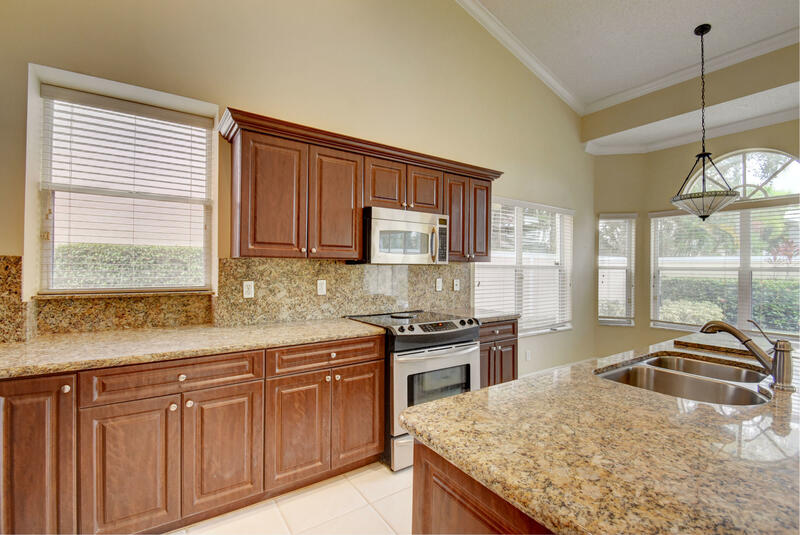 Kitchen is updated with wood cabinets, granite counters, and stainless appliances. 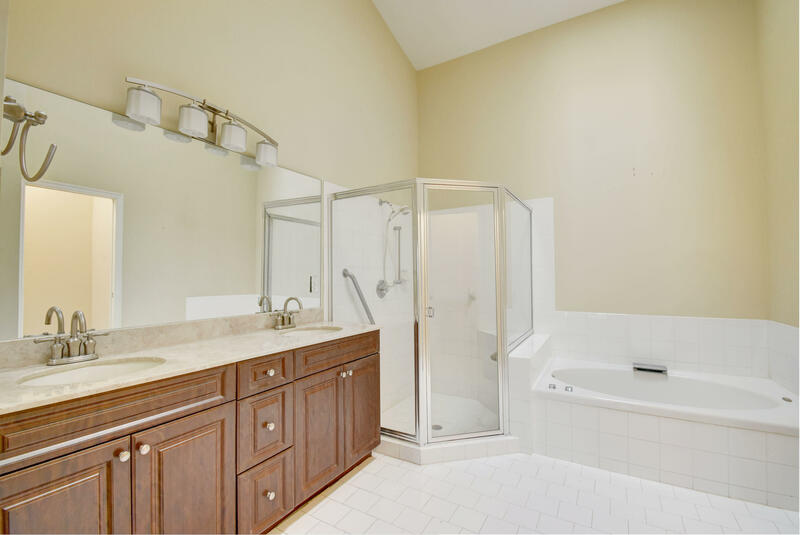 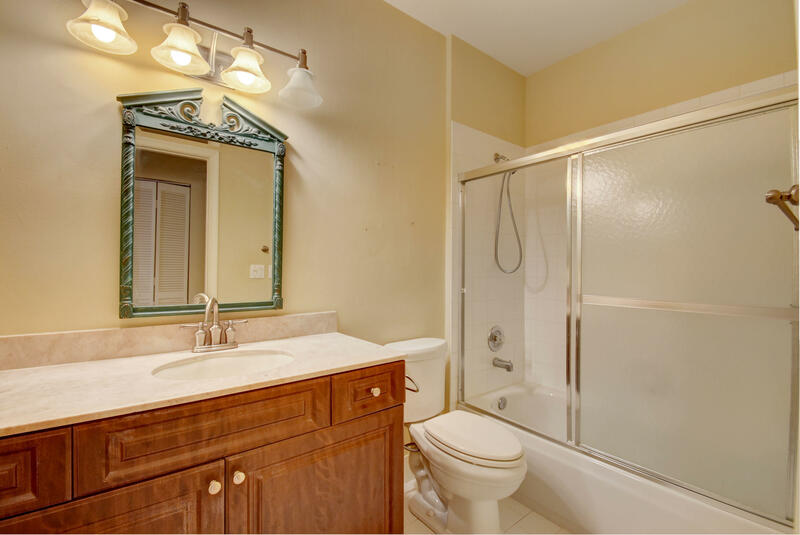 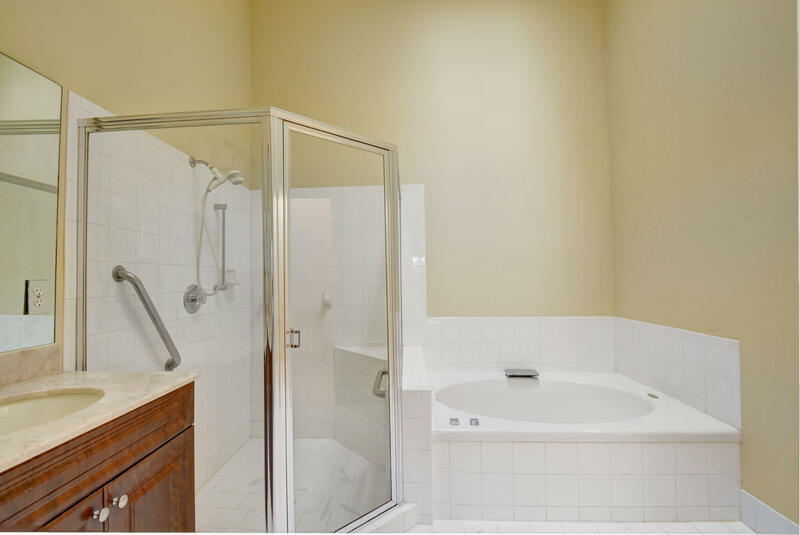 Both bathrooms refreshed with new vanities, and the large master bath features a soaking tub and separate shower. 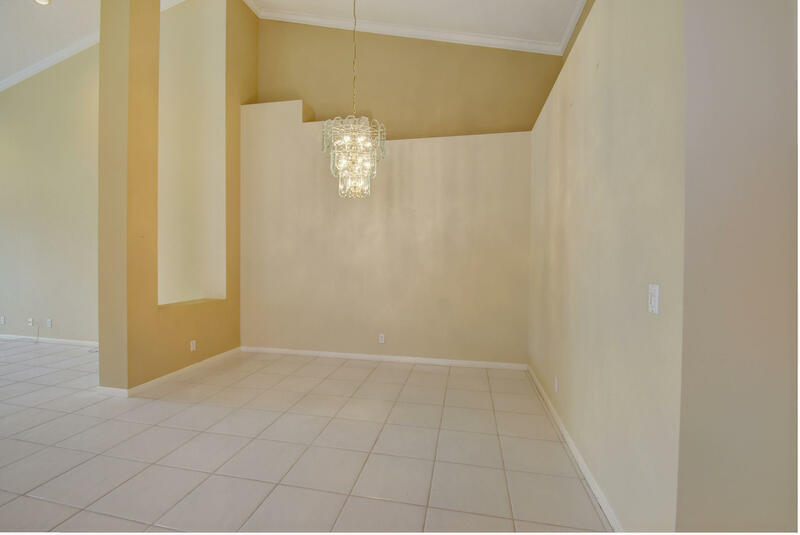 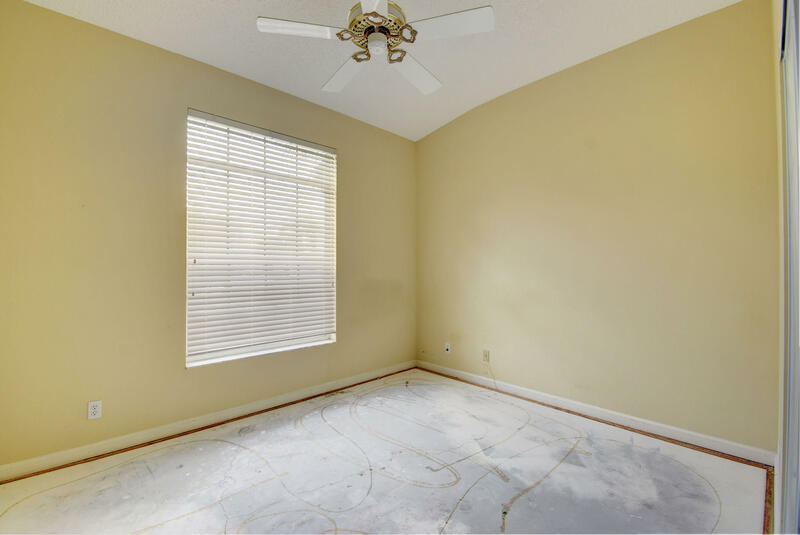 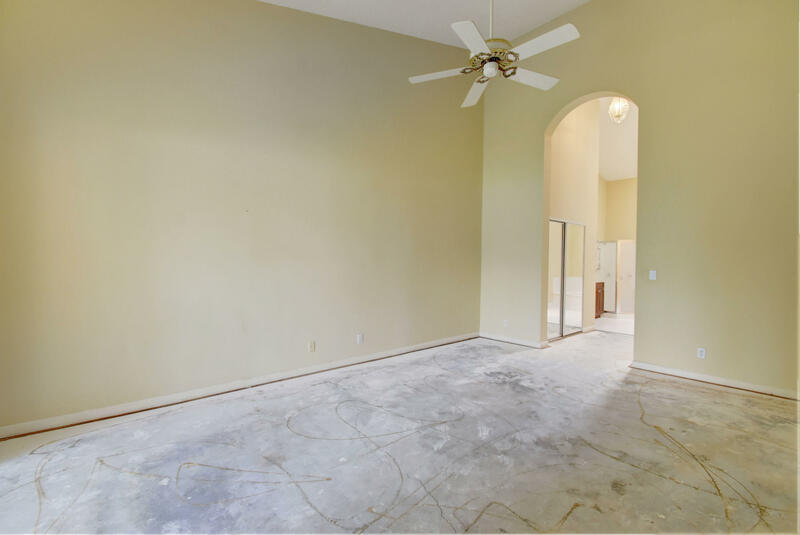 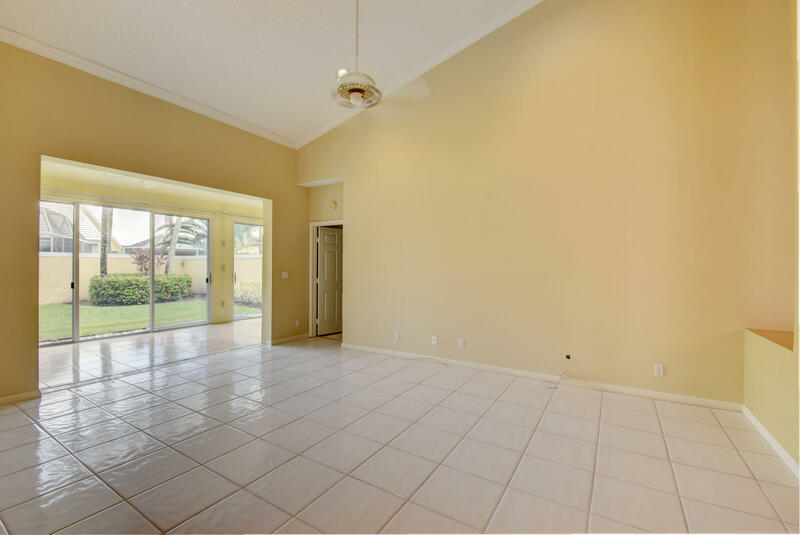 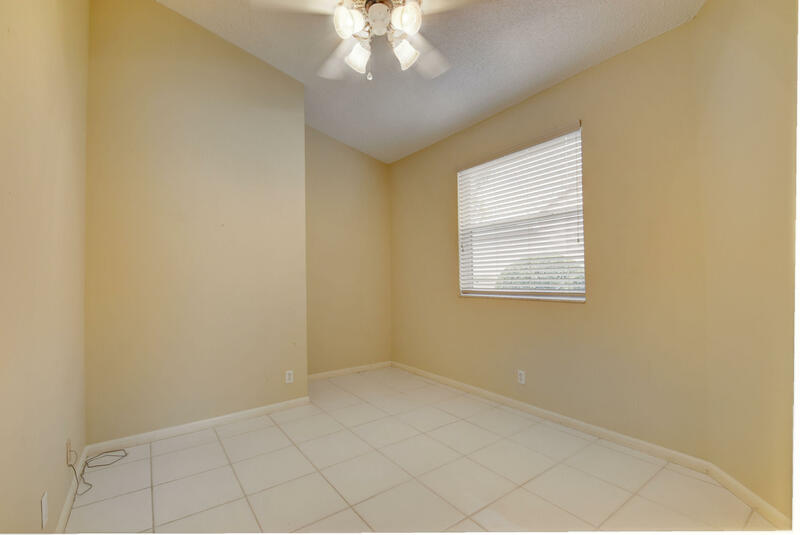 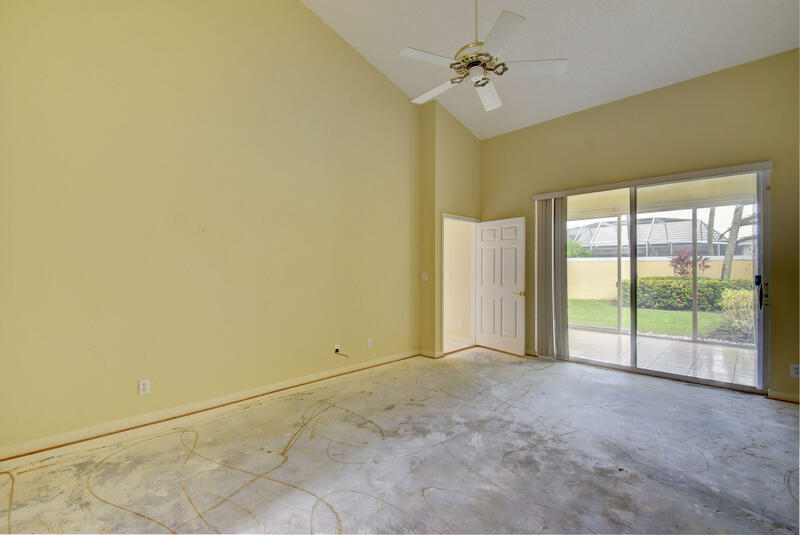 Living areas have tile floors, but carpet has been removed from bedrooms, and new flooring is needed. 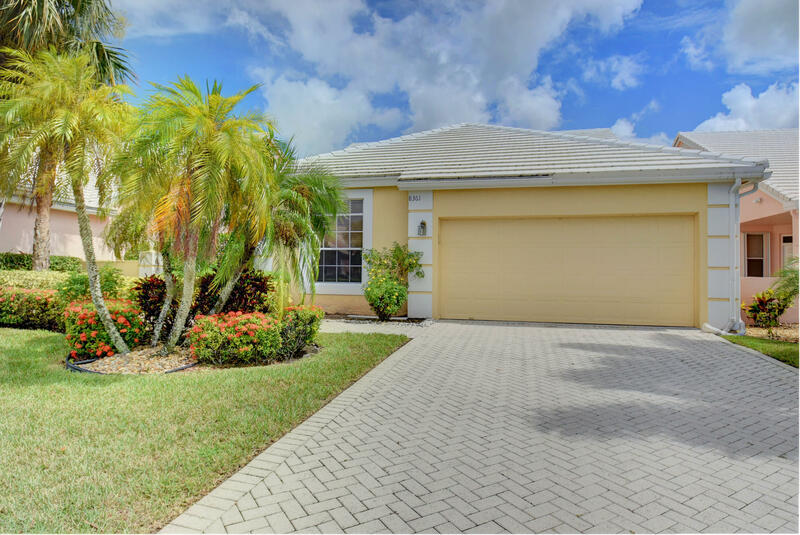 Pavered driveway and front walk, backyard is privacy fenced. 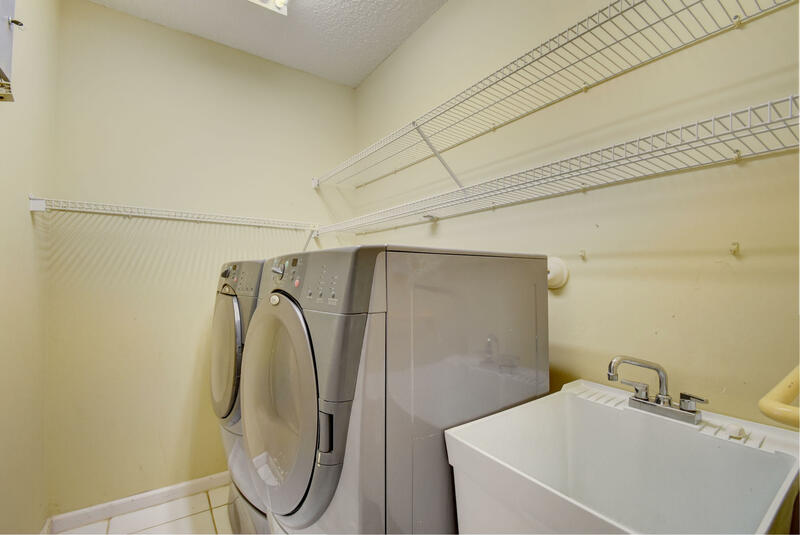 Interior laundry room with utility sink, pull down ladder to storage above garage, storm panels for openings, alarm system. 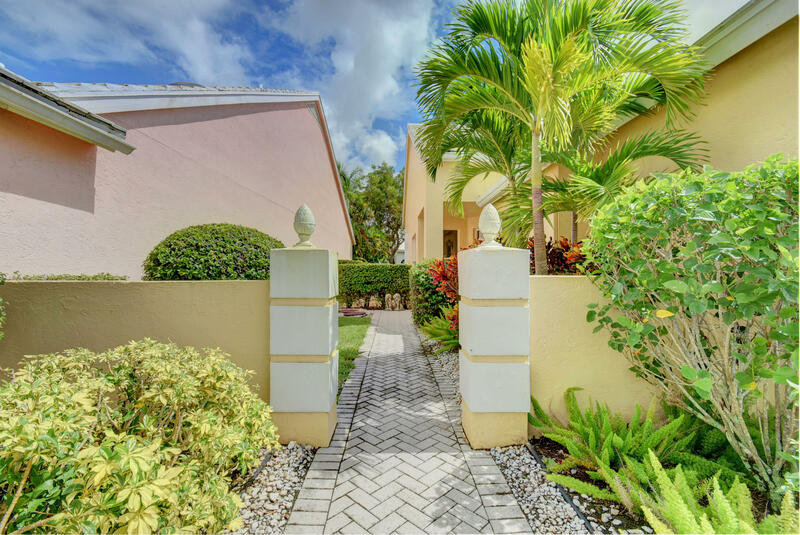 Bermuda Isle in Aberdeen is a membership country club.